According to ILO (2012), an estimated 83 per cent of Cambodian workers worked in the informal sector in 2008. 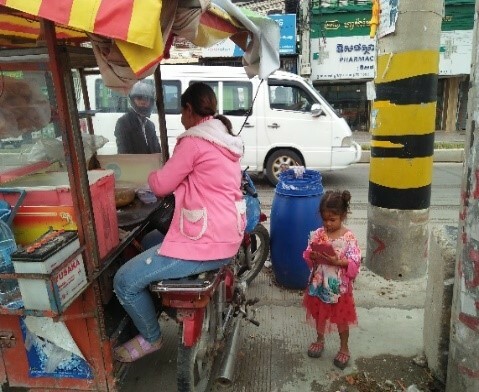 As in many other countries, data on informal workers in Cambodia is not up-to-date, though it is clear the street vendor sector is increasing daily. StreetNet, in collaboration with the Solidarity Center, Cambodia, strives to create change with street vendors through technical support. For example, in July 2018, StreetNet and Solidarity Center came together to host a women street vendor leadership workshop for StreetNet affiliate IDEA members. IDEA has become the main organisation in Cambodia working for betterment of street vendors and other informal economy workers. These three stories will shed light on how IDEA has helped empower women members and offer different strategies organizations can use to do the same. Sem Samil has been a young IDEA member for two years. 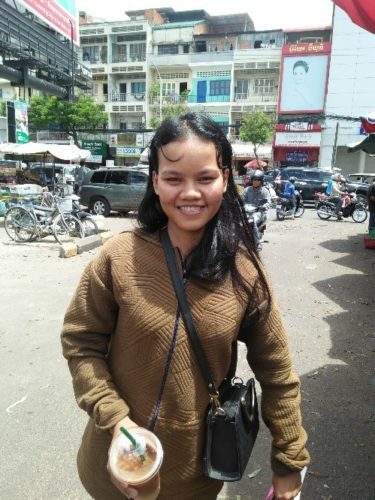 She studied until the tenth grade, and for two years she has been selling tea, coffee, soft drinks and breakfast in Thong Mean Market. A regular work day goes from 7am to 2pm and earns Sem five dollars a day. For nine months now Sem has also been working at IDEA as an organising assistant and participated in the July workshop. She says IDEA has given her chance to work in a different atmosphere altogether, and she has learned about union, labour issues, social protection and gender equality. Sem feels proud and happy because before this she could only sit in her stall, but now she gets the chance to learn new things and to meet different people. 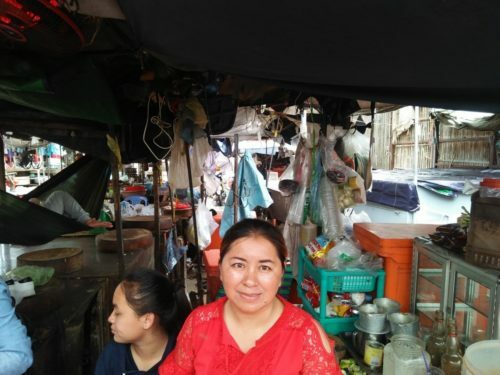 Eourn Yon, another IDEA member has been working as a street vendor for five years now. As she says “IDEA is God for me,” because she used to get harassed by goons and people for asking money wherever she used to park her cart. However, when she became an IDEA member, she received a sticker with IDEA logo on it to stick on her cart. Combined with advocacy from IDEA leaders, the sticker helped deter harassment. Now, Yon says, when people see the IDEA sticker, they do not dare to harass her.